"Interface for Rocket Engineering "
"Excelente administrador de base de datos"
Navicat es una gran aplicacion para administrar base de datos, es compatible con muchos gestores como por ejemplo SQL SERVER, MySql, MariaDB entre otros. Con Navicat podemos administrar de manera precisa y facil todas las tablas de las bases de datos, desde la creacion hasta la edicion de las mismas, es posible realizar consultas para traernos los datos, y al mismo tiempo podemos guardarlas para editarla si es necesario, las consultas pueden ser exportadas en varios formatos esto por si el usuario final desea tener algun soporte de la data solicitada. Otro punto a favor es la conexion con la base de datos el proceso es bastante sencillo y rapido de hacer. Se pueden crear procedimientos directos, ya sea para hacer una actualizacion, registrar o eliminar un registro directo desde el mismo manejador de base de datos o usando algun codigo HTML creado. En ciertas ocasiones al momento de realizar las consultas tarda mucho en procesar los resultados este aspecto deberia mejorar. Navicat es uno de los mejores administradores de base de datos, lo puedo recomendar a todos los programadores, es facil de manejar y configurar, nos permite almacenar todas las consultas y funciones que vamos generando para luego ser revisadas. Es un programa completo en todos los sentidos. Este aplicacion la usamos para manejar la base de datos, sin simplicidad y facil manejo nos ha facilitado mucho a la hora de crear consultas y tablas para hacer crecer el sitio web que se maneja, podemos guardar las consultas que se realizan para que a futuro se consulte la data para los usuarios. "Un buen manejador de base de datos"
Navicat a nivel personal lo considero como el mejor manejador de base de datos, es super intiutivo facil de instalar y manejar. Es compatible con la gran mayoria de base de datos, en nuestra empresa usamos SQL SERVER y siempre se ha optado por usar Navicat como el gestor de la misma, la visualizacion, creacion, edicion de las tablas de bases de datos es excelente, la creacion de consultas a la base de datos pueden ser guardas el color de la fuente es agradable a la vista. La conexion con la base de datos es sencilla sin muchas complicaciones. Exportar los resultados de una consulta a excel es una gran ventaja para exponer los resultados obtenidos para hacer informes. En el tiempo que se ha usado navicat no tenemos queja alguno el unico detalle es que si hay problemas con la red y la misma se cae el programa se congela incluso llegando a tener que finalizar la aplicacion por el administrador de tareas. El programa deberia mejorar un poco a nivel de diseño para hacerlo mas atractivo. Continuen actualizando el programa, considero que a nivel de diseño deberia mejorar un poco. Con navicat manejamos toda nuestra base de datos en SQL SERVER de una manejra rapida y sencilla es nuestro gestor principial y lo seguira siendo, todas las consultas, funciones las cargamos por Navicat visualizar las tablas de las bases de datos que tenemos es simplemente una maravilla. "One Tool for Multiple Databases"
I have been using Navicat Premium for about 5 years now. In that time, it has become my preferred database management tool. I really appreciate that it lets you connect to multiple DB vendors simultaneously. It makes it really easy to compare databases, synchronize data, as well as migrate data between DBs. Beyond that, the user interface is quite nice. It's easy to learn and very intuitive in my experience. To be honest, not much. I do agree with other reviewers that the price point put Navicat Premium in the realm of professional products, but, seeing as I am a professional developer, the price seems perfectly in line with similar professional products. Navicat Premium 12 added numerous improvements to an already great product. It won the “Best DBA Solution” in the 2018 DBTA Readers’ Choice Awards. There's a 14 day free trial. My original reason for giving Navicat Premium a try was to migrate data between SQL Server and MySQL. That process turned out to be so painless, that I decided to purchase Navicat Premium for my freelance development work. Since then, I haven't looked back. In addition to facilitating database comparisons , data synchronization , and data migration between disparate DB vendors, I have made a lot of use of Navicat Premium's outstanding reporting and schema design tools. "The DB Management Tool to Rule them All"
Let me start by saying that, unlike most DB management tools, Navicat Premium allows you to simultaneously connect to a diverse array of different database brands, including MySQL, MariaDB, MongoDB, SQL Server, Oracle, PostgreSQL, and SQLite from a single application. It also works with cloud databases like Amazon RDS, Amazon Aurora, Amazon Redshift, Microsoft Azure, Oracle Cloud, Google Cloud, Alibaba Cloud, MongoDB Atlas and Huawei Cloud. I have been using it for several years now, and it is my favorite DB tool. Not only does it work equally well with all of the above databases, but what it does best is migrate data between different vendors' products. Normally, you have to dump database data to a text format such as an. sql or .csv file and then import it into the destination database. Navicat Premium lets you move your data from database to the other in one step. It's one of the more expensive database products. I can see why many people don't want to spend money on tools to manage open source databases like MySQL or SQLlite. Having said that, I have personally found it to be well worth the cost in the time that it saves me. After working with many DB admin tools, I believe Navicat Premium to be the best product out there right now. As mentioned above, it's my preferred tool for performing data migrations. I have also made a lot of use of the Intelligent Database Designer, Smart Schema Analyzer, Reporting, and Collaboration tools. "Essential for my iOS/Mac development workflow"
Offers a nice and tight native feeling user interface. Most tasks can be accomplished in a straightforward manner, quickly and efficiently. Great integration of copy and paste for quickly moving data to other apps, e.g. Excel or Sublime Text. I really like the editing and filtering options in the grid view, they are really powerful in comparison to most GUI clients. Upgrade pricing is too high. There are way too many different flavours and confusing purchasing options. There is gap between appstore and webstore, with disadvantages for the appstore user. A really good option on the Mac for working with Core Data databases (SQLite) and line of business databases (e.g. Microsoft SQL Server or MySQL). Think what options and databases you really work with an get the edition that matches your needs. Opens, manages and edits all types of databases (SQLite, Microsoft SQL Server, MySQL) on my Mac in a common UI. This speeds up development and makes cross-database tasks a breeze. "The Cadillac of Database Management Tools"
The ability to connect securely to several database types at the same time is invaluable. It's especially useful for performing data migrations. I also have gotten a lot of use out of the Cloud Collaboration feature, which allows my team to share queries. I also sync my connection settings between my various devices. The Reporting tool is quite impressive. I have used it a fair amount. Code Completion makes query writing a lot easier. It's not the cheapest solution. Perhaps not well suited to part-timers. The Query Builder tool is really good for those who aren't SQL experts. I don't personally need it, but I could see how it would benefit many people. It's my go-to tool for performing data migrations. Navicat Premium has also allowed me to setup scheduled tasks such as backups without having to get into UNIX cronjob syntax. "Navicat: I'd Be Lost Without It"
Having multiple connections opened at once and being able to work in each of those easily. The server monitor is amazing if you use replication. But the best part of navicat is being able to clone a whole database, part of a database or just individual rows by dragging and dropping. The query log could be more user friendly instead of using the operating systems default log application. It would also be nice to have the ability to manager master/slave databases right within Navicat. I will hopefully one day not have to use phpmyadmin anymore and will just be able to do everything that I need to do using Navicat. I can clone entire databases very quickly and easily. It will also let me search every field in every table. Debugging any database server problems, like locked queries, are very handy especially when you can see every server's process that you have set up. With phpmyadmin you will have to go to every individual server to view this. "A good product but not great"
Navicat has a lot of great features -- I like its ease of setup when connecting to multiple DBs, the ability to use query-builder when you want to visually build queries, and the ease of "beautification" of ugly SQL. The interface is a bit clunky -- to query you need to be in a DB and then hit "new". Viewing table data also requires a new window which is cumbersome if you want to flip between table views. I prefer a simpler reload in same pane, much like you get with Sequel Pro (which I should note is only available on a mac). Try a few tools to see what you like best. When I am working on data problems I tend to go to Navicat if I want to put tables together in query builder or clean up some machine SQL I am debugging. I like it for ease of table info viewing and creating foreign keys. For most other things I prefer other SQL tools. Windows: Go to Tools > Options > Docking > choose "to main window"
Mac: Go to Navicat's Preferences > Tabs > choose "Main window" for "Default open in". "Manages multiple databases in a good application and with a few clicks"
Navicat Premium allows you to connect simultaneously to a diverse range of database brands, be it with databases in the cloud or with common databases. Unlike other database administration tools. It has a comfortable interfaces. It has an excellent auto completion that adapts to any database provider. I work in an analysis group in a media company and we use this tool to access our databases in order to provide clients with detailed reports. The benefits obtained when using this Navicat Premium is the amount of time saved when importing / exporting data about other similar products and also the ease of managing multiple database providers. Poder utilizar o mesmo software para gerenciar diferentes SGBDs. Além da elegância do software dou muito valor a sua parte funcional e performance, nestes pontos o Navicat em geral é muito positivo! Adoro o software. Essa é uma pergunta difícil, não vejo nenhum ponto negativo no software, talvez minha única observação seja em relação ao preço, que no Brasil acaba sendo muito caro por conta do dólar. Pode adquirir o Navicat Premium sem medo algum, o software é ótimo, está evoluindo a cada dia. Recomendo fortemente este produto baseado na minha própria experiência de uso. Gerenciamento de múltiplos SGBDs simultaneamente. O maior benefício foi a agilidade que ganhei ao trabalhar com este software. I like the way they made the UI that can handle all those features. Even with all of those, is very easy to start using the software because it provides (in some cases) two shortcuts for a certain functionality. For example, you if you don't want to waste time building you database by creating the tables manually, you can create the E-R diagram there and at the end you can export that diagram into a SQL file ready to be executed. That they are using wine to run the software for Linux distributions, is still fast but I prefer something native. Since I am a full-stack, I needed this tool to work faster in projects. "A great tool for people needing a way to automatically sync databases." Being able to automatically update a SQL database on a regular schedule. It has to ability to e-mail you results to confirm that the update of a database was successful. It also make editing a SQL database very easy. Set up was pretty painless. The method to set up automatic updating and e-mailing of results could be a little more intuitive. Would definitely recommend this for easy SQL database editing or syncing between databases. It was a lifesaver for syncing a Pervasive database with an e-commerce SQL database. I was able to use Navicat to link an old out of date database with an online SQL database. The purpose was to link an inventory system with an ecommerce store. Without the automation abilities of Navicat, this wouldn't have been possible. La característica principal de Navicat y por ende la más aclamada es la compatibilidad con una amplia gama de sistemas de bases de datos como puede ser MySQL, SQL Server, etc. Poder acceder a dichas herramientas a través de solo una, es una gran ventaja y facilita muchísimo las cosas. No me termina de convencer su interfaz a la hora de acceder a las bases de datos y a la hora de intentar modificarlas, estoy más acostumbrado a otrs gestores por lo tanto no se podría considerar como una desventaja si no una opinión. Si trabajas gestionando muchas bases de datos y con diferentes gestores, te recomiendo utilizar Navicat para aunar todo eso en un gestor muy eficiente. Gestión de datos y problemas de comunicación entre diferentes servidores y parques tecnológicos. Para gestionar informes, obtener datos esclarecedores es una muy buena herramienta, y vuelvo a repetir, su versatilidad es su característica más potente. "An overall reliable way for me to execute SQL queries"
The number one best feature of Navicat, trumping any other issue for me, is it's ability to restore a session just the way it was if Navicat or the whole computer freezes and I think I've lost my work. It does tend to freeze fairly often but it's ability to restore the unsaved queries I'd written is HUGE! I don't like that result tabs are erased any time I run a new query. Why can't the results be saved and a new tab added with results? If I want to see multiple results I have to run multiple queries at the same time and waste my own time. It's a perfectly fine way to query a data warehouse. I'm not really sure it's better than free alternatives but it's not a lot of money either. I spend around 50% of my day on Navicat writing and adjusting queries that pull data from my company's data warehouse. All the analyses I do start with Navicat. "Best UX & Best Support"
For initial project creation we often rework the database structure, and navicat helps a lot. Also maintaining database, local backup also can be very helpful. "Navicat Premium for Analytics "
The ease of use once downloading and connecting to you DB is awesome. My favorite feature overall, though, is the ability to quickly import and export large data sets. My team uses this product daily and are required to import data very regularly, which is why we went with Navicat over other GUI options. The ability to save frequently used queries which also helps save time in the long run, Navicat also makes it very easy for the user to move between tables and search for specific tables quickly while building and running your queries. My main dislike is the color scheme and overall layout of the product. It is very bland and limited for customization. It is also difficult to Navicat around the tool if you do not know exactly what you are looking for. As I noted on the next page, this product is also rather expensive for the individual logins. I would recommend using this product if exporting data sets is important to your daily activities. The product is great for both Postgres and Redshift users The only downfall is the price of the individual logins. I work on an analytics group at a media company and we use this tool to access our database in order to provide clients with detailed reporting. The benefits realized from using this product is the amount of time saved importing/exporting data over other similar products. Navicat Premium is very good for developers this making database mangament easier. I using this every day for mangament databases. Navicat Premiuim offers very easy interface for databases. WIthout some functions of Navicat i can't work. You can manage multiple databases with multiple database engines in one program. It's easy and good for not expirenced users with SQL language. Why it's very good for Developers? Because you don't must spent much time for write SQL books for create table or another thing related to this. And i like the Navicat Cloud! In two words Navicat Premium is good software for database mangament for multiple databases and multiple database engines like MySQL, MariaDB, MSSQL, PostgreSQL. The licensing system of this software is isn't good for multiple platforms users. As a developer dealing with multiple projects, I have a single place to easily connect to client databases and synchronise changes with local copies of the database for further development. Navicat has also been instrumental in the past with a project requiring data from multiple databases of different types (mssql and mysql) to be pooled together, processed and then pushed forward to a publicly accessible database online. Navicat facilitated this and was even able to be scheduled to complete the task on a daily basis. "Database modelling and management made easy"
A very intuitive interface and some great hidden gems (like scheduling queries and data transfers) make Navicat a great tool for any developer dealing with multiple databases on a daily basis. The modelling tool, which you can then use to synchronise schema changes, can simplify and help organise the development process for a project. Data backups are easy to do, and the query builder (with queries you can save) is so easy to use you barely even need to know SQL. The interface has a tabbed layout when you have multiple queries/tables open, however you are unable to rearrange these tabs and if you accidentally remove a tab it creates a new window which you can no longer put back into the old tab grouping. "One of the most used database administration tool for me"
I can manage my local environment databases and remote databases also. Navicat has cloud sync feature that i love very much as because i don't have to worry for reserving address and usernames all the time. I can access from multiple locations within my 1 account which was synced with Navicat. Their interface is great and every single table or fields are very much easy to create and maintain. Database table or fields collation system has to search the entire name and then it appears. The bottom next/ forward button, sometimes confused. SQL extension files import feature is unavailable within Import Wizard. It has to be click from execute SQL file. Great application software for managing multiple local and cloud databases within the software. Also has feature that can be sync the database settings/ login information's within Navicat server. Easy to manage and access the database. Very much easy to make relationship within tables. Connecting local and remote database servers within accessing the web browser. Navicat has the facility that maintain all the things from the software and don't need to access the web database server. Navicat also supports SSH and HTTP tunnels that can be accessible via various methods. I like their synchronize feature very much, it let's you synchronize database structure and data from one host to another simply and accurately. No tension of data lost or data mismatch. Another thing will be I like they support all major databases and their cloud feature. I can work with any database I want MySQL, SQLite, MSSQL, Oracle and many more. Their cloud feature helped me store and synchronize my projects online and access from any device I want. Data modeling, report builder, graph those can be remark as well. Overall BOSS of Database management. For database management I don't think they missed anything. Yet their price is very high and expansive, they should lower the price so small business and individuals can use their amazing software for database management. If you care about your data, you should give a try this software. We are using Navicat for database management and data backup. This software is very helpful and easy to use. The various wizards are pretty straightforward and convenient. Useful for importing and exporting data, as well as some automated query building. After long periods of use I often end up with memory issues. I'm not sure if there is a memory leak within Navicat or if it just has trouble with data caching. It's always fixed after a program restart, but it can be annoying. we use Navicat Premium as our primary MySQL tool and have realized benefits with using a standardized tool across all of our database developers. "I used Navicat Premium for PostgreSQL (versions 11.2 and 12.0) during my database course." I like the modern user interface best. All the functionalities I need are at hand, it is an easy-to-understand tool for beginners, and it's easy to find every option you need. There is nothing I don't like about the tool, I had no problems using it. If you are looking for a database modeling and administration tool, which is easy to use and looks good, Navicat Premium is a great choice for you. I have used Navicat Premium to teach my database course. My students were able to focus on creating database models in a simple and modern environment. The most advance database query GUI to improve your work. Database query to exports as report such as csv, excel, text. "Great for queries, not so good for maintenance"
Navicat is GREAT for querying multiple flavors of SQL in the same program. It is also the best program available that will allow you to access MS SQL Server from a Mac. Connecting to the various servers is simple, and running queries, executing and writing stored procedures, and other data-related processes are very simple. Anything maintenance-related: backups/restores, user account permissions, and data migrations are either impossible with Navicat or so hidden that I couldn't figure out how to do them. It's not a replacement for the tools from your favorite SQL vendor, but it comes pretty close. Works great for simple data tweaking. Accessing a MS SQL Server, MySQL Server, and an Oracle server from a Mac. I like the interface and multiple connections management, the query ui and capabilities are really nice too. I dislike how different the Mac and Windows versions are. "Gets the job done but could be better"
Exports of csvs don't pull well into excel sometimes, Can not search columns in a table, can not figure out how to schedule queries to run and save. Crashes a lot. "Best db manager ever, just love it"
How easy it is to build queries, even if you're not an expert in sql it helps you a lot. It gets stuck when importing large .sql files, last hours and hours with no results. Just try it, you will love it, specially if you don't have so much knowledge on sql. It's not that expensive and it helps me save time on doing queries. Navicat works well for SQL basics. It's easy to write queries and manage databases on a small scale. Very few shortcuts. Navicat does not offer any autogeneration for fields or functions. It's fine for the basics. If I had the choice I might seek out a web based IDE for collaboration purposes. Easy access to postgres database. 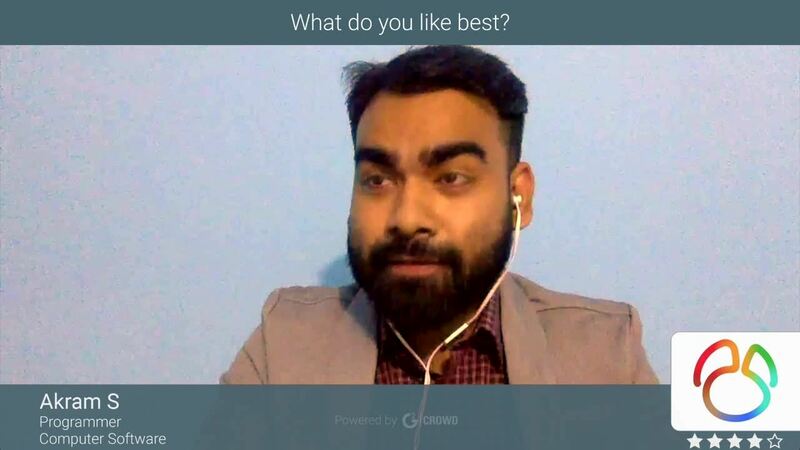 "One of the best database management softwares"
I managed MySql with Navicat, It helps me to manage easier than other database management softwares. It is very to use and to save frequently used queries. A nice interface too. Too many steps needed to export. And running batches of scheduled queries could be much easier. Give it a shot. I've yet to find a better solution out there for running queries. Database management (running SQL queries). "Essential version of Premium works well for novice SQLers." I'm a first-time Navicat (and SQL) user. Since several of my coworkers use the platform for work, I tried it as well. It's great for the basics that I use it for: queries and downloads. 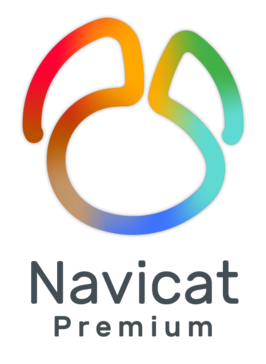 I have not experienced any issues yet with Navicat Premium Essentials. Definitely worth a look if you're a novice, and it's probably good for experts as well. My company uses SQL a lot for data collection and organization. The only problem is, I never learned how to use SQL. Navicat Premium Essentials has proven to be a great tool for novices to use. Una forma sencilla y rápida de manejar tus bases de datos. Muy útil sus funciones de búsqueda y organizar tablas. Se echan en falta algunas funcionalidades que faciliten la edición de campos de el resultado de una búsqueda. Trabajar con varias conexiones nos ayuda a testear mejor. Simple to set up and get started. My use of Navicat is fairly low-touch so what I need to do, it works well and gets me the data I need. Occasional timeouts. I also wish the error notification was a bit more specific. Querying our database to get at data I need to track our performance. Navicat is a great tool for accessing data from multiple tables. The graphics/color scheme could be improved. We are accessing data from thousands of tables in our data warehouse, from many different sources. We can quickly pull together data using Navicat to meet business needs. "Great choice for managing complicated database ecosystems"
Love being able to use one product to handle all our databases, from Postgres to SQL Server to SQLite. Best of all database managers I've tried at doing this. It's a fairly pricey product, and a few of the synchronizations (data, structure) have unexpected restrictions. Small team, so we need a consistent interface to manage all our databases. * We monitor all Navicat Premium reviews to prevent fraudulent reviews and keep review quality high. We do not post reviews by company employees or direct competitors. Validated reviews require the user to submit a screenshot of the product containing their user ID, in order to verify a user is an actual user of the product. Hi there! Are you looking to implement a solution like Navicat Premium?